Many people who approach Starecta ask us what the differences are between the Rectifier (splint Starecta) and the ALF appliance. Although I understand that someone might be confused, it is necessary to understand that these two technologies are completely different and have very different purposes. For this reason, it is better not to confuse them. 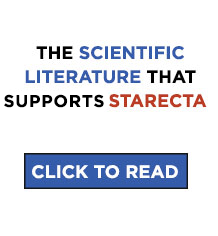 The Starecta and the ALF are not alternative methods. This means that one is not better than the other. They are simply different; rather, they perform different functions. For this reason, we can say that they are complementary, which means that can be used together. Comparing the ALF with the Starecta is like comparing the appetizer with the dessert. They are two types of treatment which perform different, not alternative, functions. At the end of the report, you will understand why we insist that these two methods must be used together. At this point, I ask you to get comfortable and to dedicate five minutes to reading this article. We will definitely clear up a crucial question. The first theory that is refuted is that the ALF aligns the teeth and facial bones following the osteopathic principle of bone alignment. 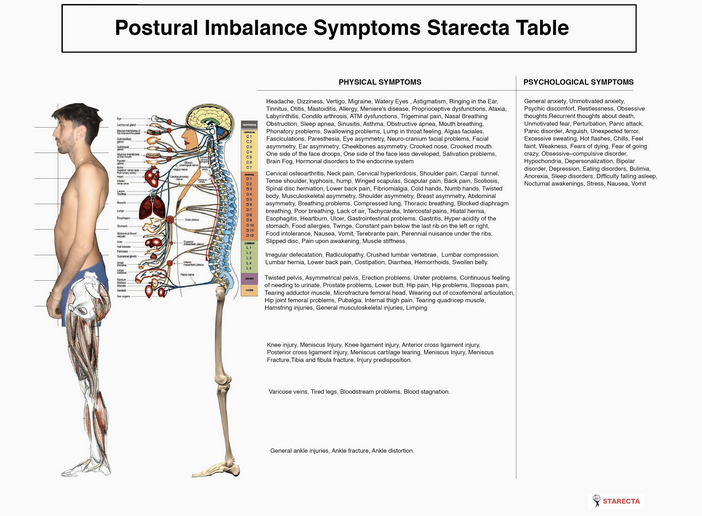 We do not deny that it aligns the teeth, and the pursuit of symmetry and of postural improvement by this instrument and its inventors is praiseworthy, but the Starecta method has already amply demonstrated that postural symmetry is not achieved by simply aligning the bones. 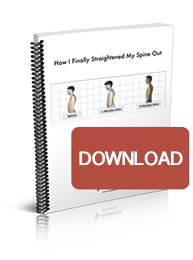 A much more complex procedure exists in order to achieve symmetry, as explained in the book, How I Straightened my Spine Out. In fact, the Starecta has demonstrated that, in order to achieve symmetry, it is necessary that the cranium turns in its natural position through the use of a lever (i.e. “Lever Effect”) placed in the mouth. This lever is activated, according to the Starecta method, by the Rectifier. The Rectifier is, as of today, the only instrument able to activate the lever. This is why we can say, with absolute certainty, that the ALF, by itself, does not allow for postural rebalancing to be attained. It goes without saying that the ALF is not even able to remedy twisting, back pains, to remedy kyphosis, or other symptoms connected with poor posture. The ALF is only a type of orthodontic treatment (it aligns teeth and stabilizes the occlusion). And yet, this orthodontic appliance may have a lot of potential, as we will see in the following, but such potential can only be activated with the Starecta. Without the Starecta, the ALF is like an army without a commander. For this reason, if used without the Starecta, we can say that the ALF (Alternative Lightwire Functionals) is used to perform two functions: stabilize an orthodontic job and expand the palate. It is not used for anything else. As you have probably understood, we are not critics of the ALF; rather, we attribute great importance to it, but only under certain conditions. Later on, we will speak about these conditions. Now, it is better to understand what the fundamental differences between the Rectifier and the ALF are. This way, one will immediately understand that it is absolutely stupid to compare them. Due to this, it immediately appears clear as to how the two instruments are not at all alternatives of each other, but completely different and, therefore, complementary. And yet, in spite of this, there are people who continue to ask us if the ALF or the Rectifier is better. We hope that reading this article might definitively clear up their doubts. Having said it in the simplest terms, we can affirm that the ALF has the objective of making the face more harmonious and aesthetically more pleasing. Vice versa, the Rectifier has the task of muscular-skeletally rebalancing of the entire body. Using these two instruments together is the best way to have the maximum postural and aesthetic benefits. In fact, going more into specifics, we have to say that the Rectifier acts on single bone segments and is capable of moving them in space towards their correct posture. Among these bone segments is the cranium which is made up of more bones connected together in specific points. The substantial difference is that the Rectifier completely lifts the head and brings it to its correct posture, freeing it from multiple symptoms, muscular contractions, asymmetries and anything else. Nevertheless, the Rectifier is not capable of moving the single bones which make up the cranium (think of a puzzle). For this type of job, it is indispensible to use the ALF which, for its part, is not capable to act upon the posture of the head except in a minimal part and in an indirect manner (not always advantageously). Nevertheless the ALF is capable of modifying the layout of all the small bones which make up the cranium. This is why we can talk about neurocranial-facial reconstruction. Combining the effects of the two means having the maximum symmetry and the best bodily posture possible. – The ALF, as with all orthodontic treatments which expand the palate, causes the loss of vertical space (molar height in the posterior area). Such loss produces an unfavorable molar lever which leads to a worsening of postural conditions (increase in kyphosis, lordosis, scoliosis, painful symptoms, etc.). – The Rectifier causes an increase in the vertical space in order to realign and place in traction the spinal column. That can cause, in the most serious cases, an empty space in the molar area which must be closed with an orthodontic treatment. But, used at the same time, they compensate for the negative aspects that the two instruments present if used separately. Unfortunately, there is a group of people who propose the ALF appliance as a panacea for all ailments. According to them, the ALF would be able to improve cognitive functions, respiration, lingual posture, the balancing of cranial bones, posture in general, etc. As it is described, it truly seems to be an effective instrument. There is a problem, however: the daily apology made about this application crumbles like a house of cards if the view of the whole is lost. A more acute eye immediately notes that the ALF lacks those fundamental components which allow for the balancing of the human body in a real manner. In fact, the components necessary for balancing the human posture are the vertical-posterior space, which activates the molar lever in order to place the spinal column in traction (molar and premolar height), and the cranial-mandibular symmetry which impacts the entire body. We repeat it: the ALF is advertised (for obvious economic interests) also as the solver of problems regarding bodily balance, facial symmetry and correct posture. And yet, it is in no way capable of solving them. We are not saying that the ALF is an appliance that does not work, on the contrary; we are affirming that it is very often passed off for something that it is not, and only for commercial ends. For this reason, it is necessary to make clear what this appliance is capable of doing and not doing. Not by chance, the ALF appliance was born as an orthodontic treatment which performs a double function: to stabilize already completed orthodontic treatments and expand the dental arches. In fact, the ALF exerts constant lateral pressure of the inside of the mouth towards the outside, causing an expansion of the arches. The constant pressure, in theory, should cause a minimal increase of the cranial volume. The cranial bones move apart from each other and the sutures stretch, thus allowing a cranial expansion. This way, subsequently, there should be a readjustment of all of the cranial bones. In theory, the concept is correct, but, in practice, the reality is very different than what is presented by the supporters of the ALF. 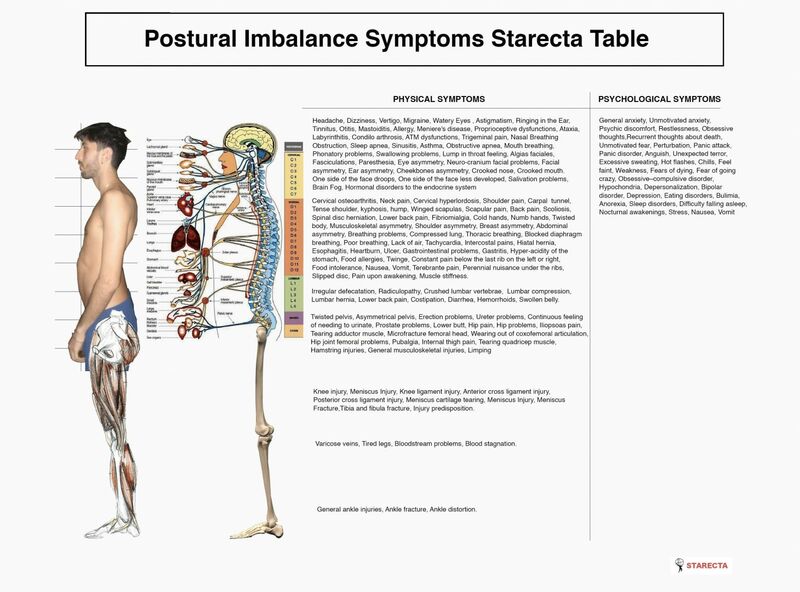 In order to realign posture and to make the body symmetrical, it is necessary to apply new fundamental principles that the Starecta method, in recent years, has underscored insistently. For example, if there is a readjustment of the cranial bones in an unbalanced body, the ALF’s work has totally useless, or even damaging, results in cases of loss of vertical space. 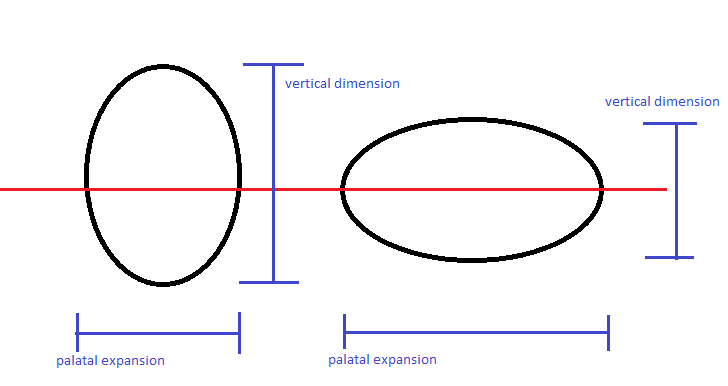 Moreover, as already stated, all of the practices of palatal expansion lead to a loss of vertical space (dental height). That leads, consequently, to a loss of dental support of the cranium in the premolar and molar area. 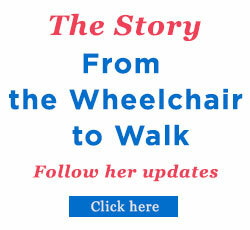 How could such an appliance bring benefits to the posture? Such an appliance would only favor a collapse of the cranium. PLEASE REMEMBER: The more you expand the palate, you lose vertical space and, therefore, support for the cranium which collapses. For this reason, we can say that the so-called job of stabilization of the ALF appliance, in reality, is worthless if the causes which generate the cranial mandibular twisting are not removed, the lateral deviations caused by asymmetrical chewing loads and, above all, the lack of an adequate dental height (vertical space). In fact, the dental height is necessary to push the cranium up, to stretch the spinal column and, therefore, stand erect without effort. The ALF can have beneficial effects only on people who already have an optimum vertical space (dental height in the premolar and molar area), while those who lack vertical space cannot derive any benefit from the ALF. This is the only truth! For this reason, before putting on the ALF appliance, it is necessary to correct postural cranial-cervical-spinal problems with the only instrument capable of doing it: the Rectifier. After having corrected the asymmetries of the entire stomatognathic apparatus, after having corrected the lateral deviations, the twisting and all the asymmetrical loads of the face, after having recovered an adequate vertical space (dental height which supports the cranium upward in an ideal posture), it is possible to think about beginning a job with the ALF in order to have effective, real and lasting benefits. If the ALF is used without first improving the global posture of the body and of the cranial-cervical-spinal system, it means that the asymmetries of the stomatognathic apparatus, the lateral deviations and the lack of vertical space (dental height) will keep the ALF from producing any benefit. This is why the Starecta team insists, with great determination, upon the importance of correcting, first, the cranial-cervical-spinal system, and only after adopting any other orthodontic treatment. We must admit that two Starecta Balancers, Marcello Mazza (Protocol for the Treatment of Dystonia) and Ken Leaver, had the intuition; that, after having applied the Starecta, they easily integrated the ALF appliance with the Starecta (Starecta splint). The innovation was very ingenious, and, without their contribution, we admit that we never would have made this step forward. Practically speaking, they integrated the ALF inside of the Rectifier in order to obtain the maximum from the Starecta and from the ALF therapy. Thanks to this integration, the vertical space can be created and the palate expanded at the same time. Thanks to Ken and to Leonardo, we have improved the Rectifier with a very important integration. The ALF is a very useful instrument for expanding the palate and realigning the teeth, which is why we recommend integrating the ALF with the Starecta. It is thanks to this intuition that the ALF-Rectifier was born, an instrument which integrates the advantages of the Rectifier with the advantages of the ALF. 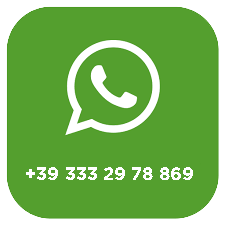 If you want to receive the ALF, click here.